If you’re a sucker for great views, enjoy a little adventure every now and then, and happen to find yourself in upstate New York, consider driving the scenic Veterans Memorial Highway to the top of Whiteface Mountain. This scenic byway takes visitors from the sleepy town of Wilmington to the summit of Whiteface Mountain. Opened to traffic in 1935, the Veterans Memorial Highway was the idea of a local resident by the name of Marcellus Leonard who lived in nearby Saranac Lake. President Franklin Delano Roosevelt formally dedicated the highway on September 14, 1935 after over three years of work to complete the road. 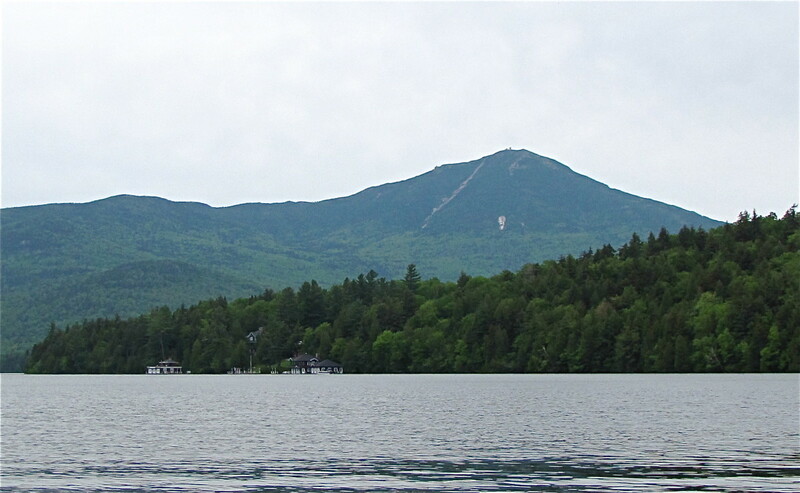 At 4,867 feet above sea level Whiteface Mountain is the fifth highest peak in New York and is one of what is referred to as the High Peaks of the Adirondack Mountains. What makes Whiteface Mount so attractive and unique is that one can drive to virtually the top of the mountain. 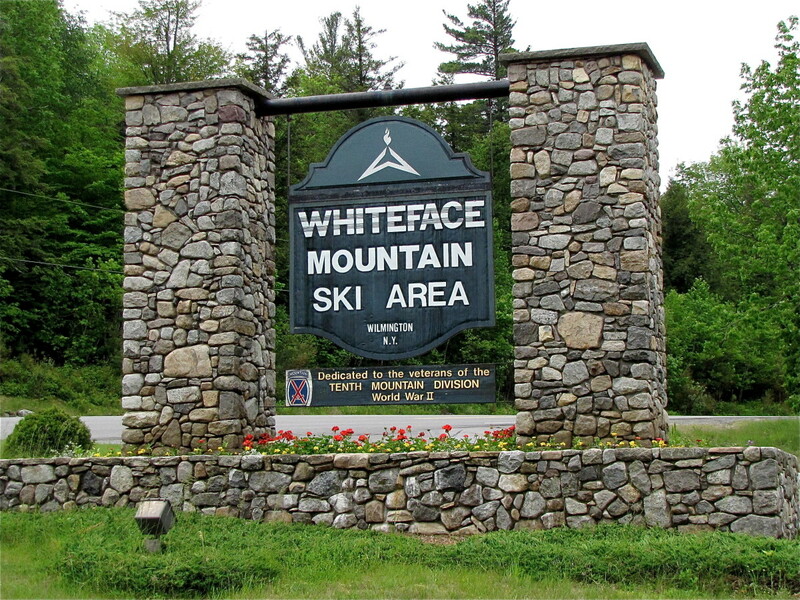 And if Whiteface Mountain seems a bit familiar to you then perhaps you recall the 1980 Winter Olympics that were held in nearby Lake Placid and the fact that the downhill skiing events were held right here on Whiteface Mountain. The Veterans Memorial Highway (NY 431) actually begins in Wilmington and takes visitors along an 8-mile route that slowly ascends toward the summit. 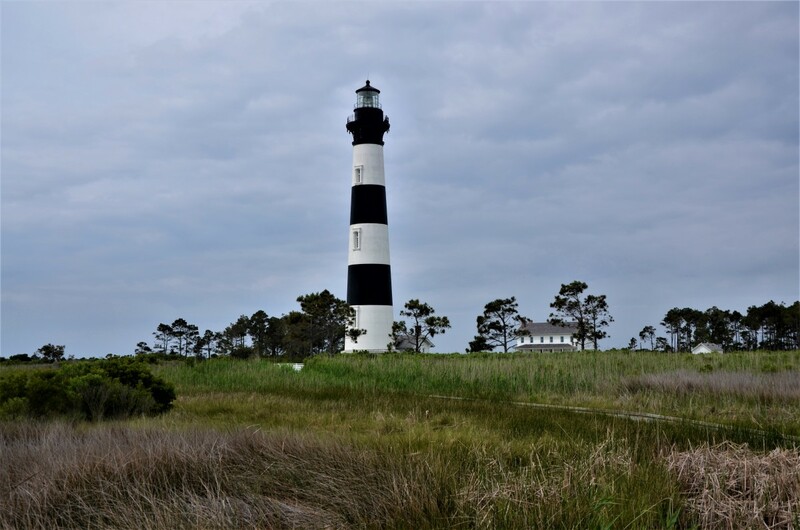 After passing through the Toll House station you will pass by up to nine scenic stations on your way to the top, which offers visitors a chance to get out and check out the view. 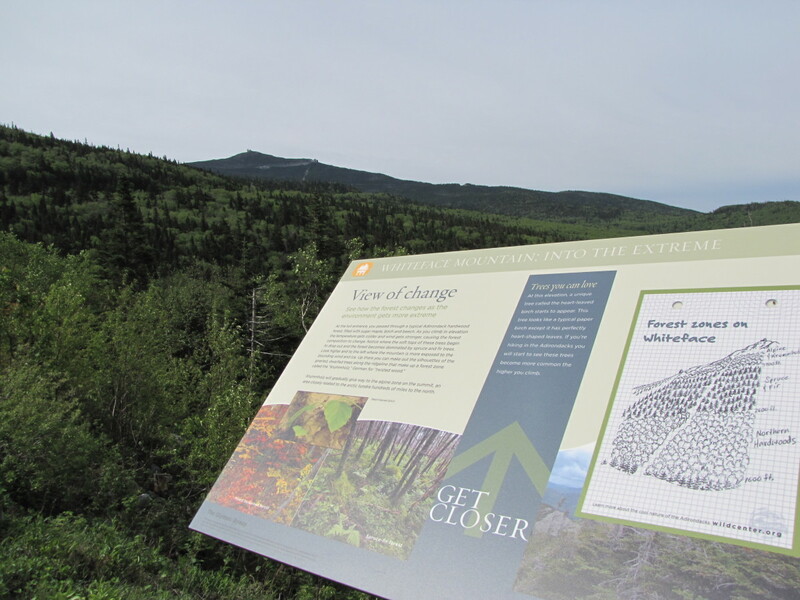 Each scenic stop also has interpretive informational signs so that you can read up on the history of the region. You can stop at the Toll House area before heading up the mountain as they have a small pond that is stocked giving kids a chance to fish. There is also a short hiking trail that takes visitors around the pond and offers a chance to see all 34 species of trees found here in the Adirondacks. The chalet style building was built in 1934 and has a number of exhibits that highlight the flora and fauna of the area. 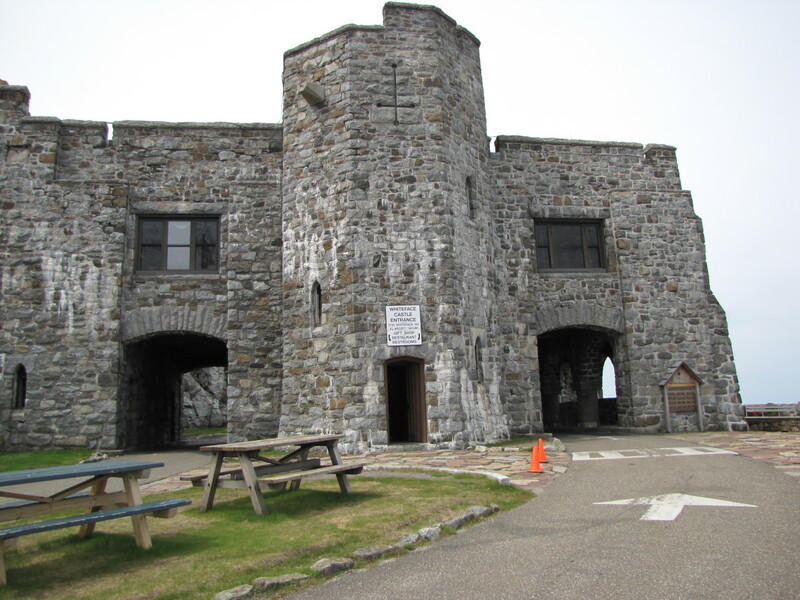 As you make your way to the summit the road will end at what is referred to as the Whiteface Castle, at an elevation of 4,600 feet. The “Castle” is actually a small restaurant and gift shop, which also has restroom facilities and it makes for a great pit stop area. From here there are two ways to get to the summit at 4,867 feet. 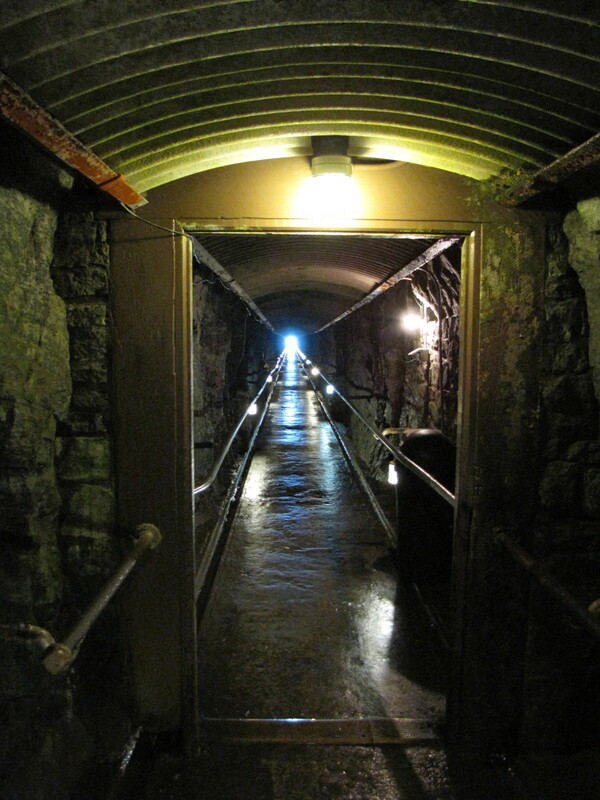 There is actually an elevator that is located inside the mountain and requires a 424 foot walk through a tunnel into the heart of the mountain. When you reach the elevator it will take you 276 feet up to the summit. The elevator was the idea of FDR as a means of helping those less mobile visitors reach the summit from the parking lot. The other way to the top is to follow the Stairway Ridge Trail, which takes visitors on a .2-mile uphill trek over stone steps. Most visitors opt to take one method up and the other down and I can tell you the elevator is an interesting experience and not to be missed. There is actually an elevator operator who will greet you and give you a brief history of the mountain on your ride up or down. We were lucky to have visited just two weeks after the incredible Memorial Day snowstorm that dumped 3 feet of snow on the mountain and were treated to some great photos of the snow on the top of the mountain by the elevator operator. 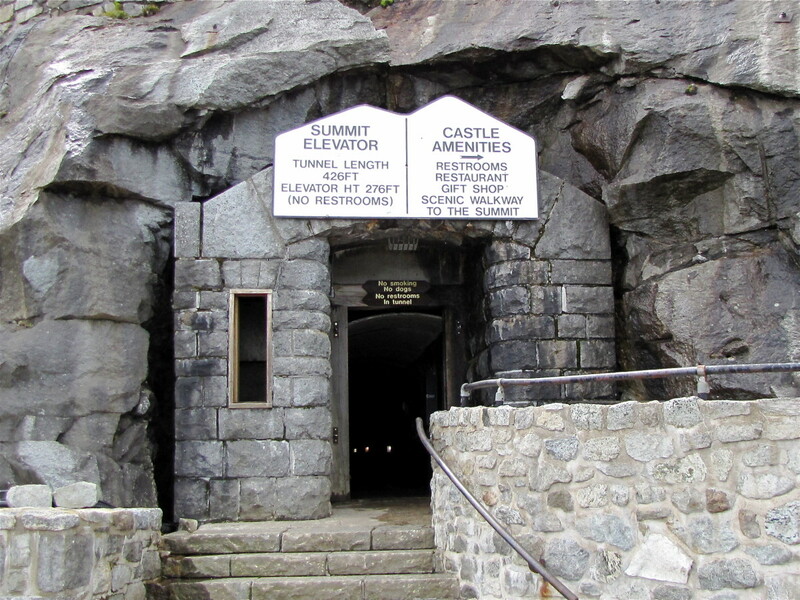 When you reach the actual summit you will find the shelter house that contains the elevator and a 360-degree viewing platform. There is also a weather station up here but that is off limits to visitors. There are numerous viewing spots and plenty of space to walk about the summit area. There is a wide expansive area of rock which makes a great area for catching the views in every direction, having a picnic, or just finding a seat to soak in the beauty of this region. To the south you will notice many of the other High Peaks of the Adirondacks including Mount Marcy, the highest peak in New York State. 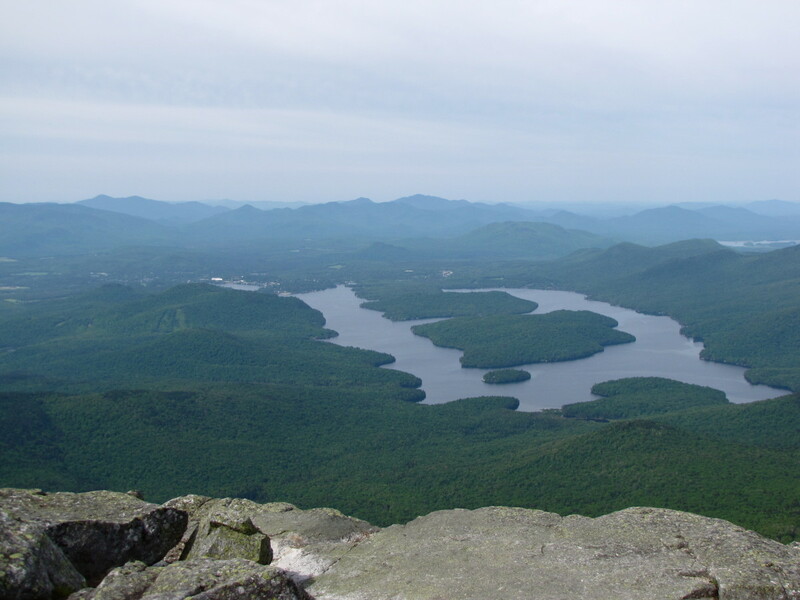 To the southwest is a beautiful view of Lake Placid and just beyond is Mirror Lake and the village of Lake Placid, site of the 1932 and 1980 Winter Olympics. To the east, on a clear day, you can see into Vermont with views of Lake Champlain. And to the north you get a great view of the Veterans Memorial Highway as it snakes its way up to the top of Whiteface Mountain. 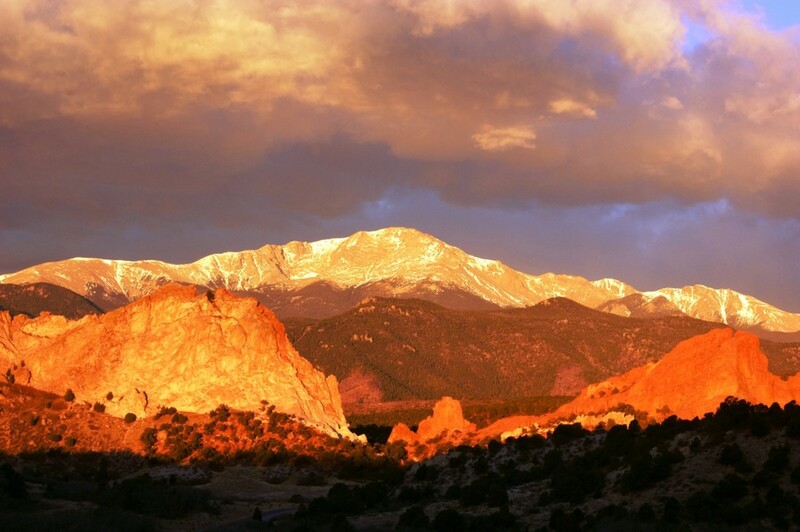 No matter what direction you look to you are greeted with beautiful majestic views. You can’t help but to marvel in your good fortune for finding yourself in such an amazing place. Plan on allocating at least a couple of hours for your visit to Whiteface Mountain depending on where you coming from. If Lake Placid is your departure point it will take you approximately 15 minutes to drive to Wilmington and the start of the Veterans Memorial Highway. The time to drive up the Memorial Highway to the top will depend on how often you stop along the way. Before you head out be sure you have enough gas for the trip. The only gas station in Wilmington closed recently so there is no gas available between Lake Placid and the Memorial Highway. The Veterans Memorial Highway is a toll road and the cost is $12 for the vehicle and driver. Each additional passenger costs $8. The fee to bike the road is $10 and a bicycle season pass can be purchased for $50. 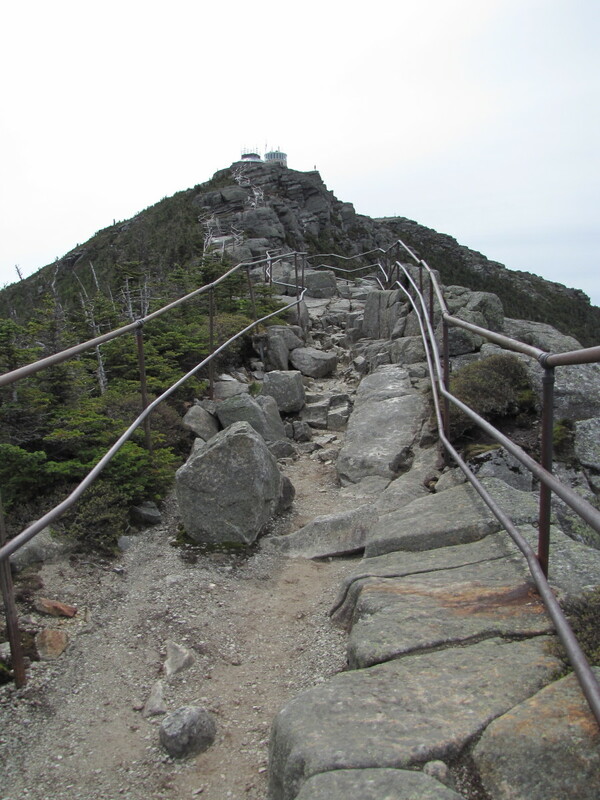 There is no cost to park or take the elevator once you reach the top of Whiteface Mountain. You can pack a picnic or snacks for the trip or opt to grab a bite to eat in the Castle Restaurant. Amazingly there are bugs at this altitude so be sure to bring some bug spray. I’m not sure what was biting us but they left some nasty bite marks. Also, the weather up here can be very changeable and windy so come prepared. Don’t forget your camera and also your binoculars, which will come in handy. 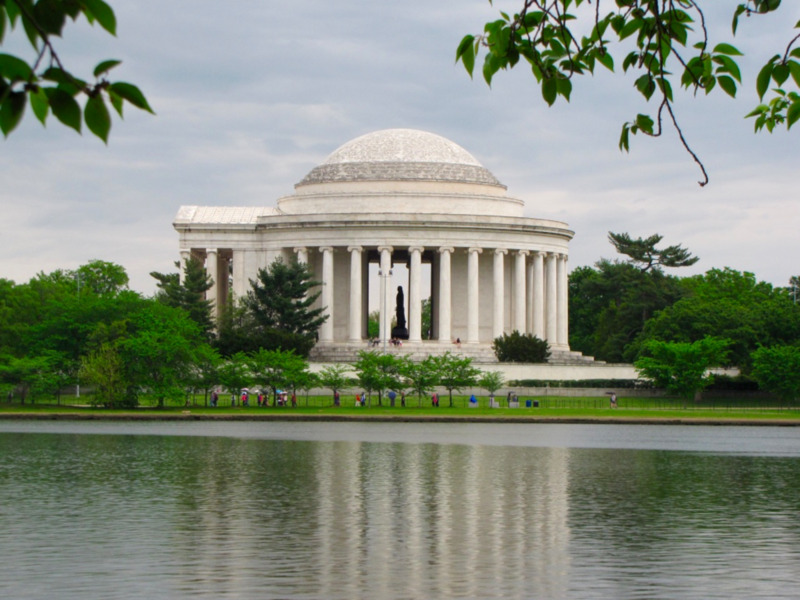 The Memorial Highway is open from May 17 through October 14, weather permitting. From May 17 to June 26 the road is open from 9 am until 4 pm. From June 27 until September 2 the road is open from 8:30 am to 5:30 pm. And from September 3 until October 14 the hours are 9 am until 4 pm. As with any mountain road please be sure to follow all speed limit and caution signs. There are a number of frost heaves on the road so be cautious. When driving back down the mountain you would be advised to use a lower gear to save your brakes. If driving up the mountain is not your thing you can stop at the Whiteface Ski area and take the Cloudsplitter Gondola ride to the top of the ski area. This does not go all the way to the top of the mountain but is another alternative activity if visiting the area. The gondola is open from June 14 until September 2 from 9 am until 4 pm. The cost is a little steep at $20 per person for adults, $16 for those aged 7 to 19, and free for kids 6 and under. A summer Olympic Passport ticket is available for $32, which if you are here for an extended stay might be worth purchasing. This one ticket includes the gondola ride, the toll on the Veterans Memorial Highway, the Lake Placid Olympic Museum, the Olympic Sports Complex, and a tour of the Olympic Ski Jumping Complex. It also includes discounts on many other activities in and around Lake Placid. 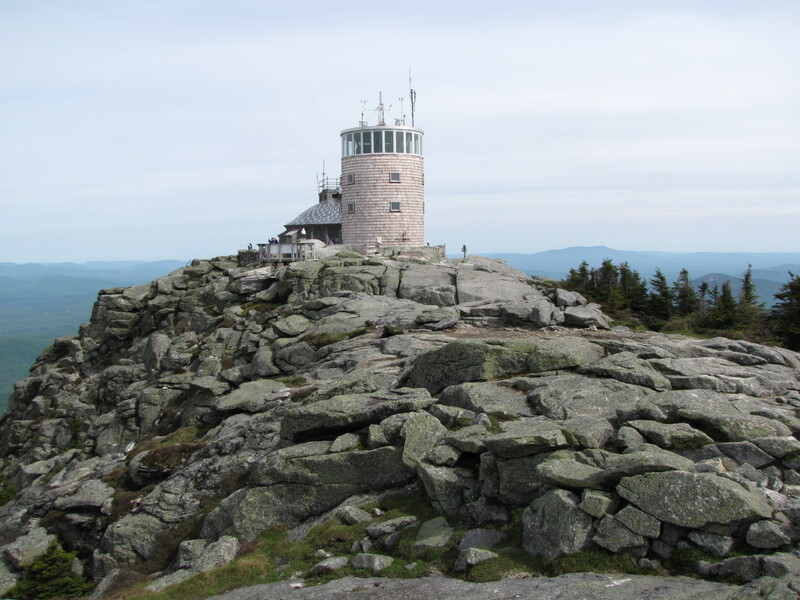 If you are spending time in the High Peaks area of the Adirondacks in or near Lake Placid consider making the drive to the top of Whiteface Mountain. The Veterans Memorial Highway is an incredibly scenic road and the views from the top are simply stunning. Is the elevator at the Stairway Ridge Trail open and running in September, 2018? No, the elevator is currently closed for repairs. They don't expect it to reopen until 2019. Is the highway to Whiteface Mountain open in 2019? 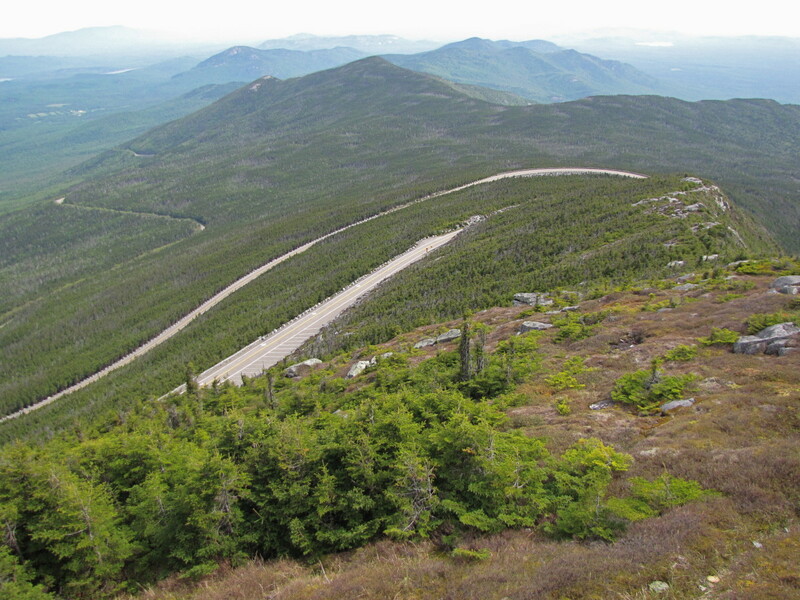 Is the Whiteface Mountain Memorial Highway open in April? 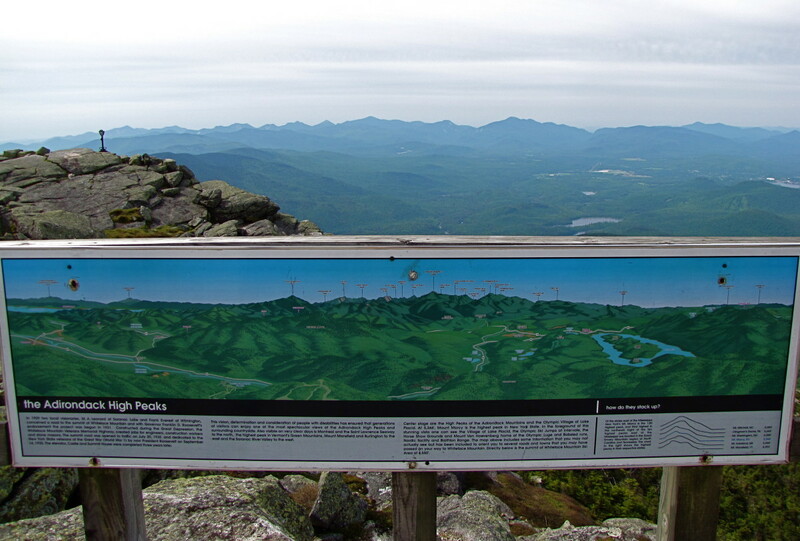 We are going to Whiteface Mountain on Oct, 20th. Is the Veterans Memorial Highway closed? Is there another way to drive up to the summit? The toll road to the top of Whiteface Mountain is currently closed for repairs and will not reopen until sometime in the spring of 2019. Unfortunately, that is the only way to drive to the top of the mountain. 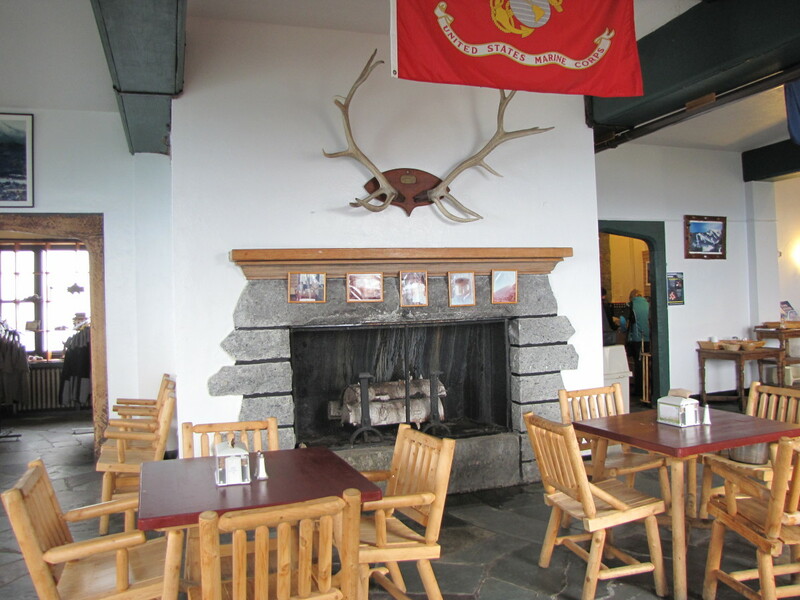 Do you know when the Veteran's Memorial Highway to Whiteface Mountain will open in 2019? Is there any word on when the road to the top of the Whiteface Mountain will be open for 2019? What are the hours to drive the Veteran Memorial highway in 2019? Do you have to be back down by closing time, or just on your way up? 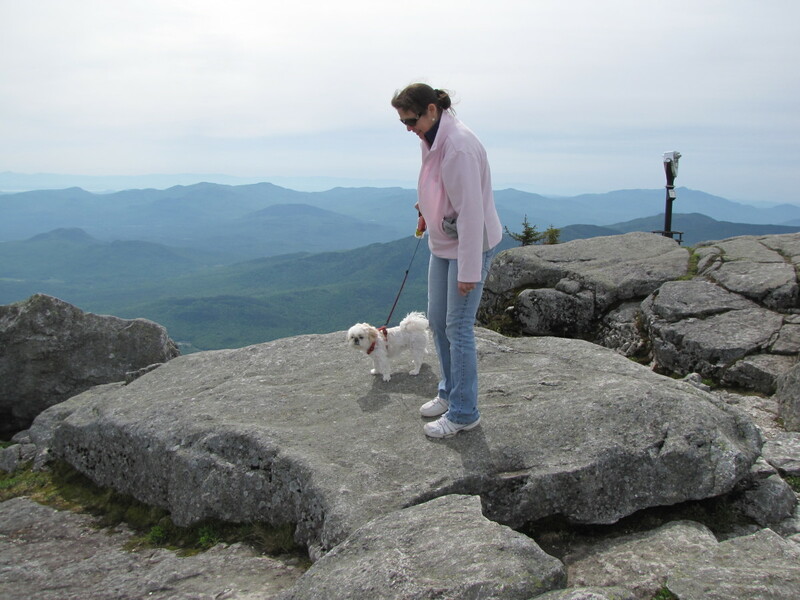 Are dogs allowed in the elevator and on the top of Whiteface Mountain? Yes, we took our dog with us in the elevator up to the top of the mountain. She had a great time roaming over the rocks and exploring the landscape. 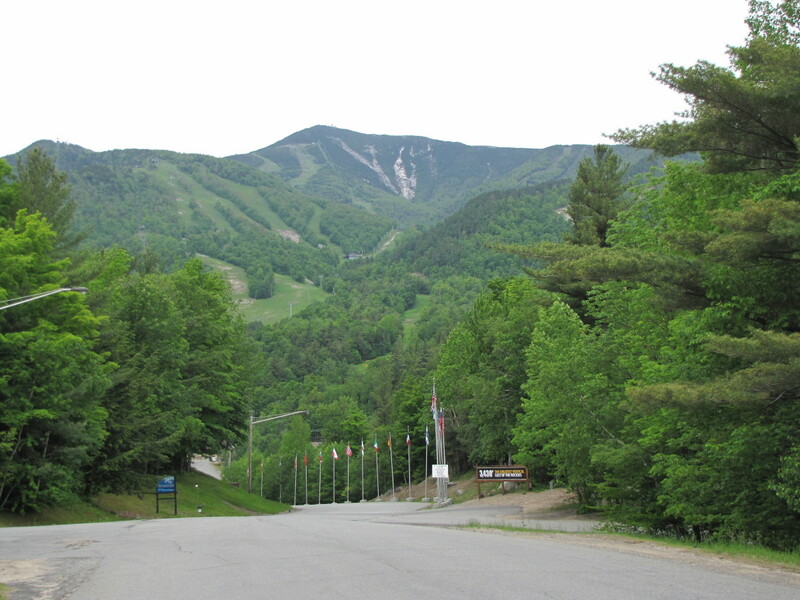 Can I use a New York State access pass to get to the top of the Whiteface Mountain? That I am not sure about. I did research it and could not find anywhere that states a New York State pass will get you through the toll booth on Whiteface Mountain. Thank you ktay, I will update the information in the article. Thank you Rami. Glad you enjoyed the drive to the top of Whiteface Mountian. It's a beautiful area. Hi Thom, this was quite the drive. Very scenic but not overly scary. The views from the top were amazing. I would imagine the mountain roads in Colorado go much higher. Thanks so much for stopping by, have a great day. Hi Crafty. Thanks for stopping by. We love going up there every year, it's a beautiful part of the country. Welcome to HubPages. Awesome! I love trips like that. We live in Connecticut. Hi mr-veg. Thanks for the visit. 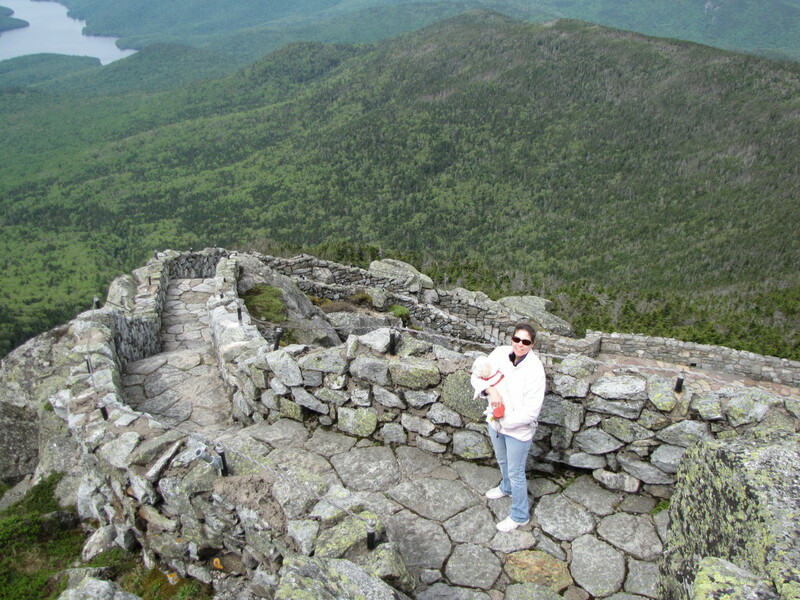 Whiteface Mtn is a beautiful place and very popular with hikers. Glad you enjoyed the trip. Have a great weekend. Such a beautiful place... I believe it attracts lot of hike lovers ? thanks for the visual treat yet again !!!!!!!!! Hi Susan. Thank you. It is amazing to find the castle at the top there. It's a beautiful area so check it out sometime. If you like the outdoors you will not be disappointed, there is so much to do. Thanks so much for the vote, share and visit. Have a great day. Thanks Glimmer Twin. It really is a beautiful area. If you love the outdoors there is so much to do; hiking, biking, water-sports, the mountains, etc.. And Lake Placid is a quaint little town in a beautiful setting. Thanks so much, have a great day. This isn't too far from me and after seeing all your beautiful photos I must take a road trip soon. The castle is gorgeous and something I'd really enjoy. Voting up +++ and sharing. This looks beautiful. Every summer we go somewhere and really love New England. I have been trying to talk my husband into going to this region of New York, but for some reason he just is not interested. Hoping this hub may persuade him. Another great one Bill. Hi Dan. Congratulations on your ADK46. That's quite a feat. I would love to be up there in winter for the views. We go up to LP every June for the 1/2 marathon so maybe next year we'll hike Mt. Esther. It's a beautiful area. Thanks so much for the visit and comment. Hi las81071. Glad this brought back good memories. It really is a beautiful region of the country. We go every June and never tire of it. Thank you for taking the time to visit and comment. Hi Carol. Glad you enjoyed the trip. So nice to see you here. Have a wonderful day. Hi rajan. 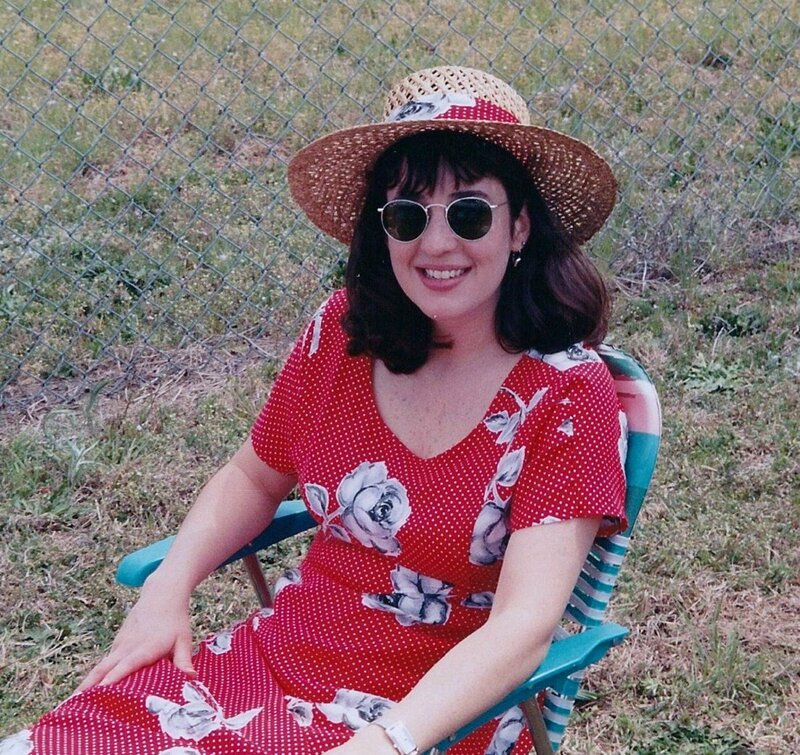 Coordinate your visit with Suzie and we'll take a drive :) It is a beautiful area, glad you enjoyed the trip. Thank you for the pin, share, etc. Have a great day. Hi Suzie. Thank you. Just let us know when you are ready for a visit. There is plenty to see in NE. I need to write more about our local area here, thanks for planting the seed. As always many thanks for all the support, pins, shares, etc. Thanks Alicia. Everyone can thank FDR for the elevator. It's just another interesting and unique facet of this mountain. The castle is a pleasant surprise for visitors who want a break from the elements. Thanks for the visit, have a great day. 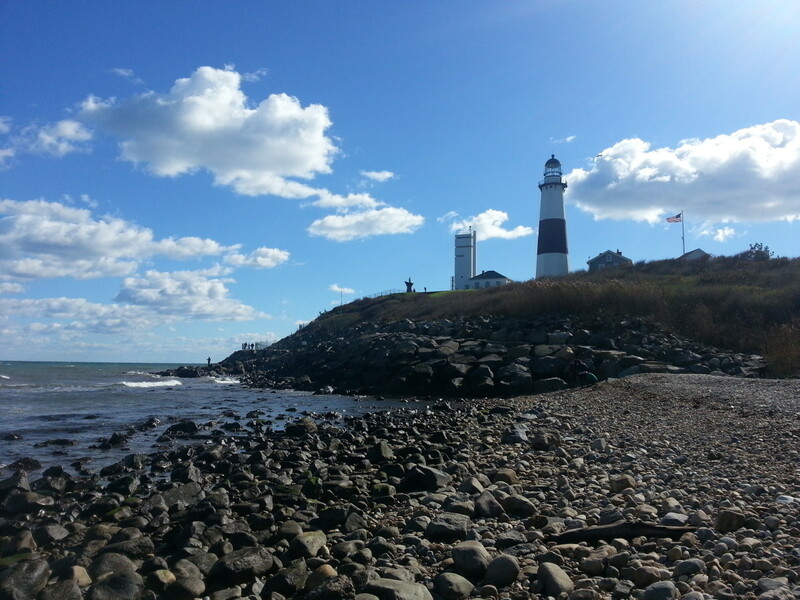 Fantastic pictures of a NYS attraction that everyone should see. 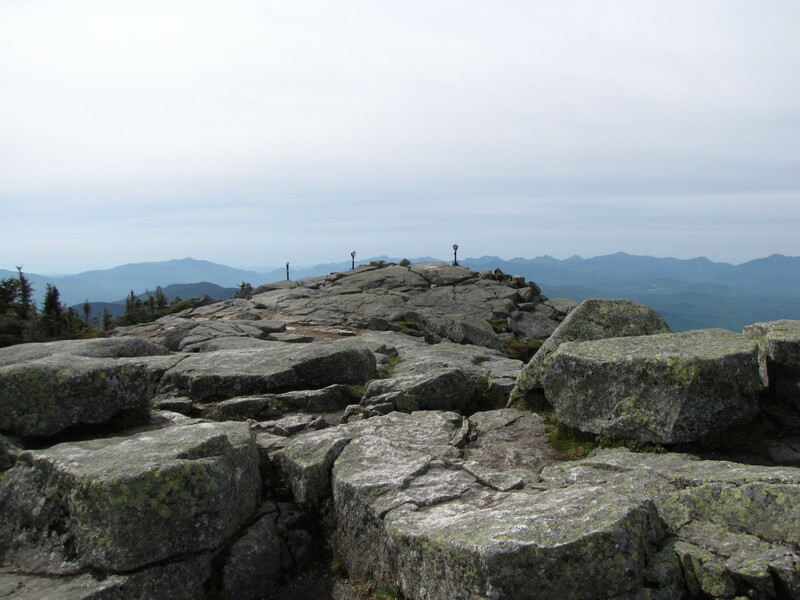 I've been on top of Whiteface a few times, haven driven as well as hiked up it in both summer and winter for my ADK 46. Each time it is a different feel while standing on the summit. Just so everyone knows, the cool little restaurant on the summit isn't open during a 20 below zero climb. For hikers, I suggest climbing nearby Mt Esther which is accessible via a herd path as you make the ascent from Wilmington. We all get the benefits of your travel with lovely photos and wonderful descriptions. Thanks again for enlightening ...very enjoyable. The views from the top are scintillating, Bill and the entire area is so scenic. 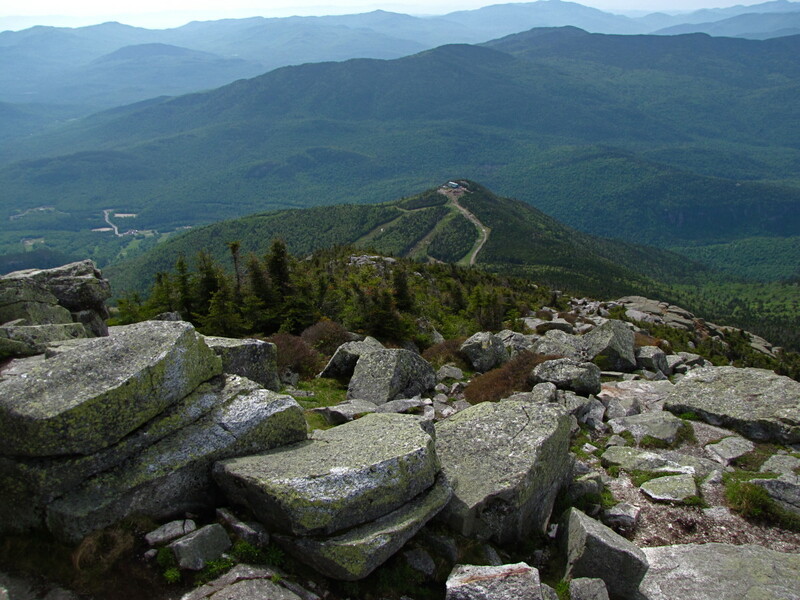 The whiteface mountain and the trail seem to beckon me. I just wish I could see this beautiful place. Thanks for the virtual journey and it was a pleasure reading this well written hub. Voted up and beautiful. Shared and pinned as well. Cheers buddy for another Bill classic, beautifully penned and illustrated with gorgeous photos and great tips. Votes, shares, pinned!! What a wonderful idea to have an elevator inside a mountain! I love the architecture of the "castle", too, as well as the beautiful views from the mountain. Thanks for another very enjoyable hub, Bill. Thanks Joe. Hopefully we'll get you here soon :) And a happy Father's Day to you also. Now that you mention it, it does remind me of a small scale Great Wall of China. That tunnel is something else, great idea. Hope you had a great Father's Day. Hi Bill. A happy Father's Day to you also. Is this not beautiful country? We had a great day on Whiteface Mountain, it was just beautiful. We've been wanting to make this drive for year's. Thanks again, hope you had a terrific day. Bills, no fair, a guy named Joe didn't get to see that place yet! 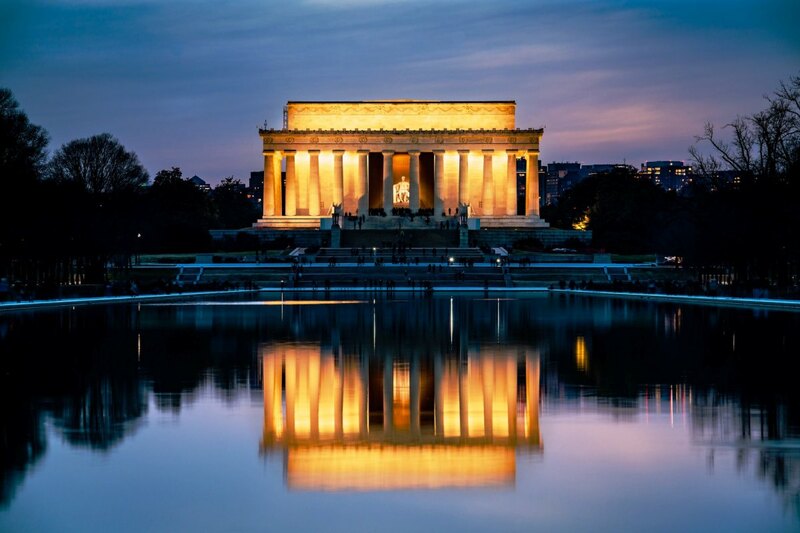 This was indeed another attractive invitation to a place I definitely want to see when I go visit my father in Maryland and my brother in New York City. Thanks for sharing this with us, Bill! Happy Father's Day, and have a wonderful week up ahead! Bill, this hub is unusual in that I've actually been to this place. 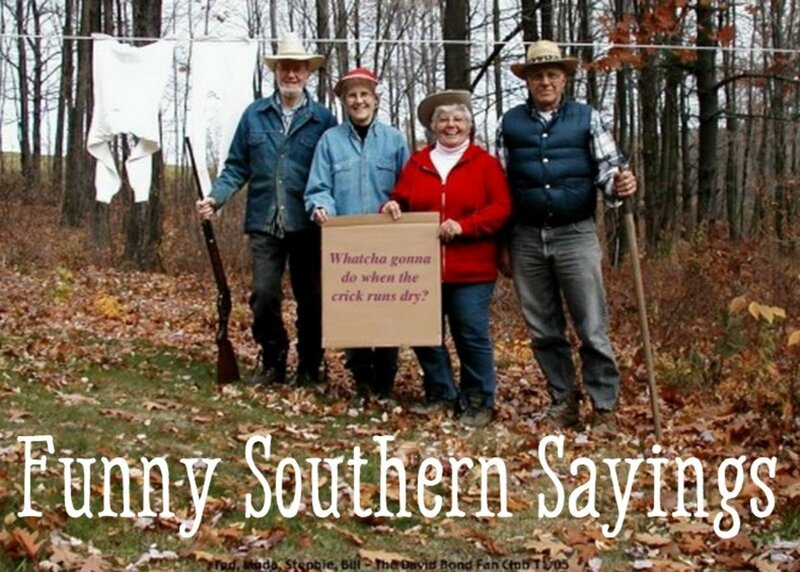 LOL This is lovely country and a great way to spend a day. The pictures are wonderful as is the description. Nice job my traveling friend, and Happy Father's Day.